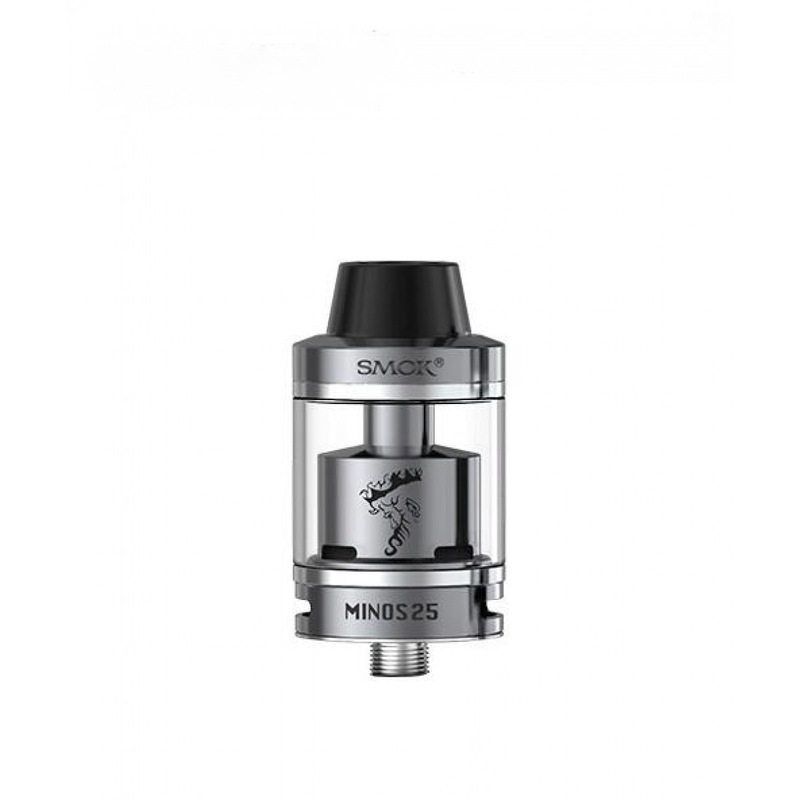 The SMOK Minos Tank is a ultra capable RTA that can withstand the most powerful builds. Are you ready for a stormy vaping experience? 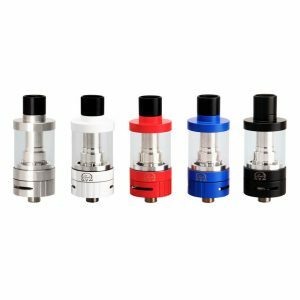 The SMOK Minos Tank provides one of the best vaping capabilities, which is why it comes with the slightly higher than average 25mm diameter. 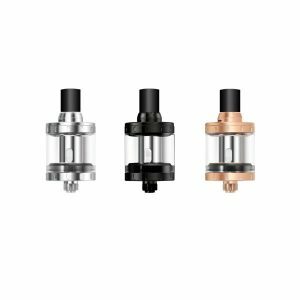 The SMOK RTA comes with a 4mL capacity for e-liquids, and the top cap may be removed to get to the top refill system. Such system allows refilling on-the-go. By the way, the bottom airflow has two balanced airslots that create an open draw for the most flavor. The glass tube of the RTA is transparent to allow easy viewing of the remaining capacity. The 510 threading makes the tank compatible with most temperature controlled box mods on the market. A nice added addition is the 4mL tank capacity, allowing the user to vape for hours before needing to refill. What is more, you will be impressed by one peculiar feature of the SMOK Vape. It comes with a special deck design. 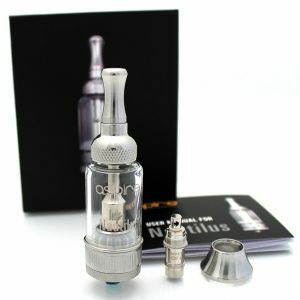 Its own M2 deck allows using it both as a sub-ohm tank and RTA. Thus, it brings together the best from these two options to provide you the most enjoyable vaping experience. This deck has a dual terminal design and comes prebuilt with Fe-Cr and Nickel-Chromium heating elements. Besides, The 510 RDA drip tip features a V-shaped airflow channel, which creates a unique body design and even more unique vape experience. For more vapor, the two bottom airslots can be completely adjusted by the user. What is more, the RTA is engineered to minimize random leaks and leaks while filling. Also, this vape tank is only 48mm in height, making it a quite short tank for the power it can provide with the right setup. As for design, the SMOK RTA looks elegant and classy and is available in 4 classic color variations. 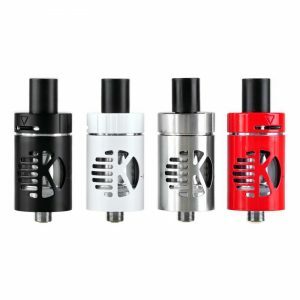 SMOK offers white, red, black or silver finish of the tank. If you are searching for an RTA, which will deliver the best flavor while vaping, this atomizer developed by SMOK brand is, for sure, one of the most suitable options. The Minos tank is known as the “Vaping Taste King” because of the amazing flavor it gives to the user. It is possible thanks to the adjustable airflow system with 2 air slots and the drip tip V shape airflow channel. All in all, this SMOK RTA is an effective flavor-centric vape tank that comes with a unique design. It can easily outperform any other RTA similar in size.